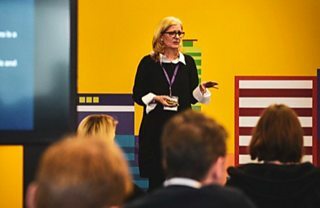 Last Thursday over 100 BBC Product Managers got together in Salford with a load of flip charts, post-its and Lego, and set about building a Product Management community. We spent the day talking to each other, hearing from internal and external speakers, and planning our next steps. The goals of the day were to collectively come up with practical next steps and a clear idea of what our product community will be and what we get from it. We want the community to increase collaboration and shared learning, support and motivate us and help us get better at what we do. To start us off on the right foot, we had Emily Webber talk to us about Communities of Practice. She shared her experiences of building communities in large organisations and small meet-ups. Emily explained the benefits of having a community that provides a support network, helping us to learn and develop skills, sharing knowledge and scale our ways of working. 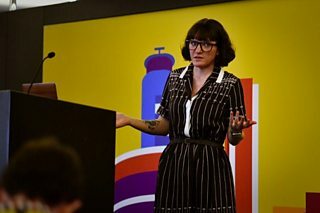 Emily talked about practical tips for how to form a community and then ensure that it sticks around long enough to mature and stabilise — a challenge for a group of busy product managers. 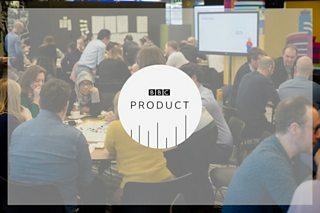 CONNECT: We should have an easy way to find other BBC product managers and be able to see what they work on and their interests, and be able to get in touch with them. SHARE: The community can help us give ourselves time for learning and developing our skills, possibly through shadowing, pairing on tasks or attending each others meetings and offering feedback — but with a focus on how we do things, not what we’re working on. 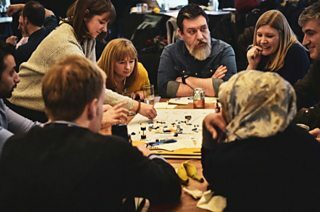 MEET: Events should include visible, themed, informal meet-ups, which bring people together who are working on similar things or have similar problems. As well as talking about how to build our community, we also wanted to have some time to talk about how we actually do product. The discipline of product is evolving fast, as is the industry that we work in. 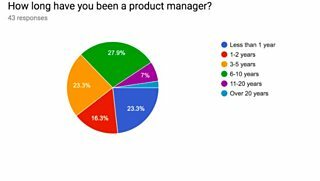 We wanted to look out to the wider product management world to hear how other people do it, the challenges they face and how they have overcome them. Gadi Lahav from the FT talked us through how having a single north-star metric can help you stay focussed on your real goal and guide you in making better product decisions to achieve that goal. As you would expect from the FT, the approach Gadi described was smart and accurate — understanding your metrics and what they mean is key to getting the most out of your data. We heard about some product case studies which have informed the product strategy and show how Gadi and his team are continually challenging the work they are doing. Lucy Küng from Reuters Institute blew us away with her research on how the media industry is reacting to the changing world around it. The complexity of older companies makes the challenge they face from start-ups even bigger, success lies in collaboration at all levels of the organisation and acknowledging that technology is now at the heart of everything we do — not just ‘the plumbing’. 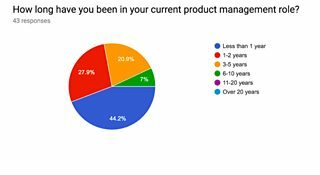 Lucy went through her observations on the role of product in big change — how it sits at the nexus of content, tech and business, which means product people have to talk all those languages. 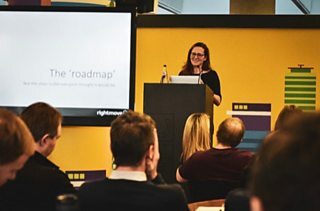 Rightmove’s Melanie McKay talked about the challenges she’s faced and how product can transform companies — the talk has already been quoted in meetings I’ve been in! Melanie shared tips for staying focussed and achieving your goals even when shiny feature requests are trying to distract you. 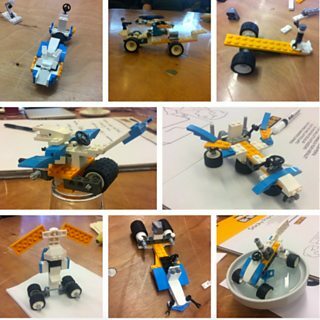 To give us a chance to think about how we do things day to day (and as an excuse to play with some Lego) we had an hour or so thinking about prototyping; what makes it hard to prototype; what works, what doesn’t work, what could help and how. The room was noticeably livelier once we let the lego loose — finally the chance to make something! The feedback from the session included some direct lessons — we should maintain the feeling of fast progress and continual learning in our work. One of the benefits of using Lego was the lack of barrier to entry — everyone could get stuck in straight away, pretty different to how a cross-functional team would normally rely on the developers to build a prototype. Can hack days feel more like this, instead of the non-developer drop-out after lunch, could we hack in Sketch or similar to achieve this? A couple of people said they liked the exercise and would use it for team building or as a warm up for discovery, which is a nice, unexpected outcome of the session. Diversity of experience is valuable, how do can we recreate this in day to day prototyping? It feels like we have started to do something really cool here; the community is something that we can build, grow together; it belongs to all of us. We will use it to help us learn and develop individually, and as an organisation.